Heavy snow paralyzed much of Europe for yet another day, cutting off mountain villages, sparking avalanches and killing at least four more people Friday. 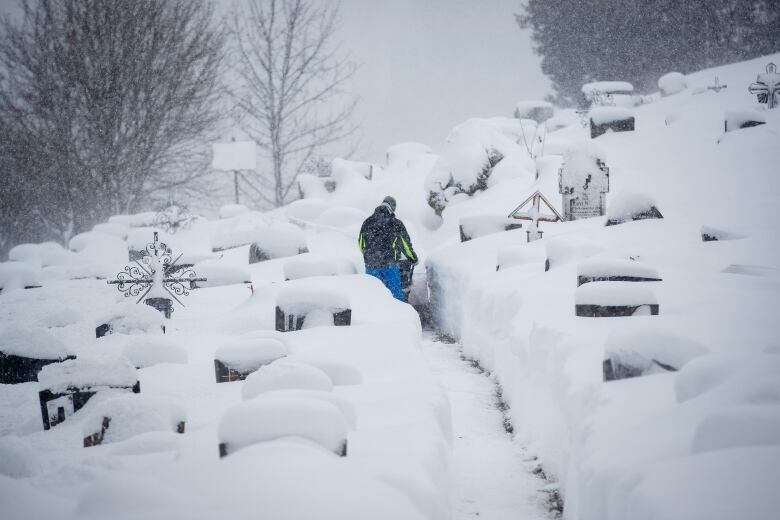 Heavy snow paralyzed much of Europe for yet another day, cutting off mountain villages, sparking avalanches like one that crashed into a Swiss hotel, and killing at least four more people Friday. 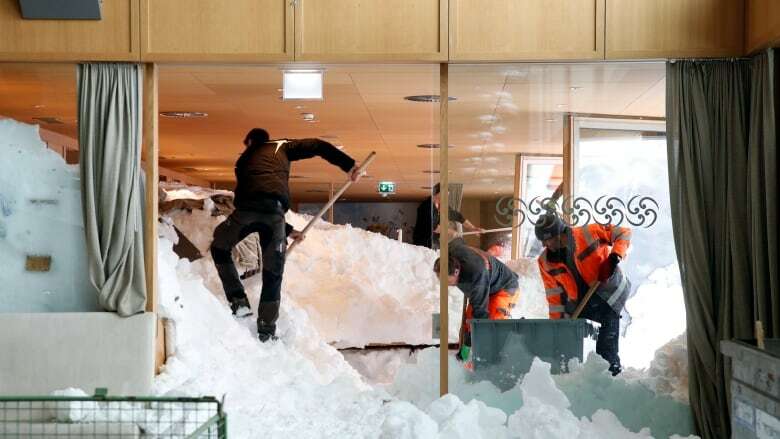 Workers at the Hotel Saentis in eastern Switzerland spent Friday shoveling out hip-deep snow after a 300-metre-wide avalanche smashed through the hotel's windows Thursday afternoon and piled up in rooms and the dining hall. Police said three people were hurt by avalanche in Schwaegalp. 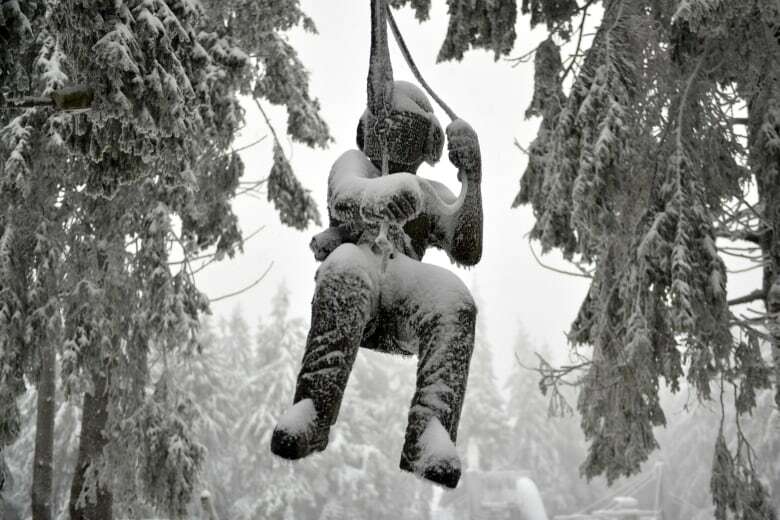 The Bulgarian Red Cross said two snowboarders died in an avalanche in southwest Bulgaria's Pirin Mountains. In neighbouring Montenegro, meteorologist Dragan Buric said the first 10 days of January have been among the coldest the country has seen in decades. "We have snow in January in the capital city [Podgorica] for the first time in nine years," Buric told Montenegrin state TV. "Because of heavy snow, in some parts over one metre high, some of the roads have been blocked," he explained. "We need more machines. We have run out of resources and money." 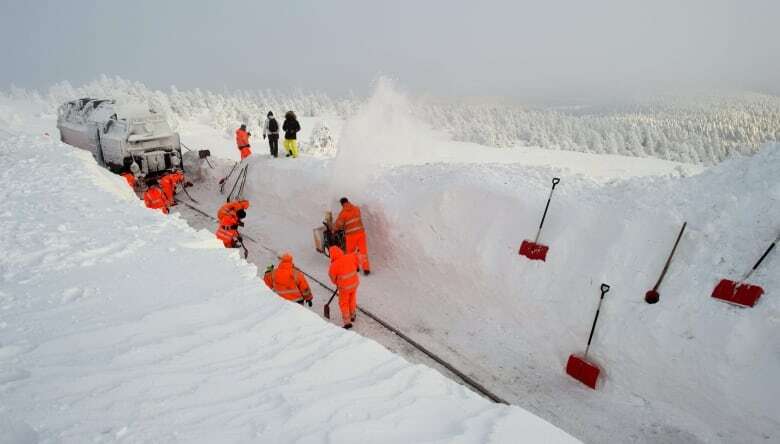 In Germany and Austria, where heavy snow caused fatal avalanches and major disruptions in the past few days, the situation was easing Friday. Still, airlines cancelled around 120 flights at Frankfurt Airport and 90 at Munich Airport because of concerns about snow.